Jane and Kelly, the mother and daughter team, are the foundation to Jane Kelly Floral based in Wauwatosa. Our multi-generational wedding floral business offers the perfect mix of talent and expertise to give every couple beautiful floral designs for their special event. Jane’s 30 years of wedding floral experience and Kelly’s 10 years of interior design experience combines to thoughtfully consider every detail to create a unique look for every couple. Our complimentary consultation at our studio in Wauwatosa provides us a chance to learn more about your wedding and your vision. We will continue to work closely with you to be certain to capture the essence of your day. Our commitment to you continues on your big day with our on-site staff to help in every way that we can. In addition to our custom floral design, we provide a wide range of décor items to enhance your ceremony and reception. Items such as vases, candles, urns, fabrics, candelabras and much more are available for either purchase or rental. 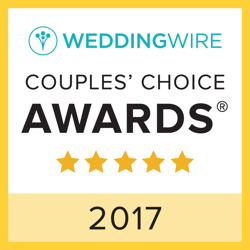 Jane Kelly Floral is a WeddingWire Couples’ Choice Award recipient, representing the top five percent of wedding professionals within the WeddingWire Network who demonstrate excellence in quality, service, responsiveness and professionalism. For more reviews, check out our Facebook page!